Too bad they forgot to put your name on it, instead of their own. Yeah… it happens. I’m getting used to it. Most of the images of the pistol out there are mine at the moment. 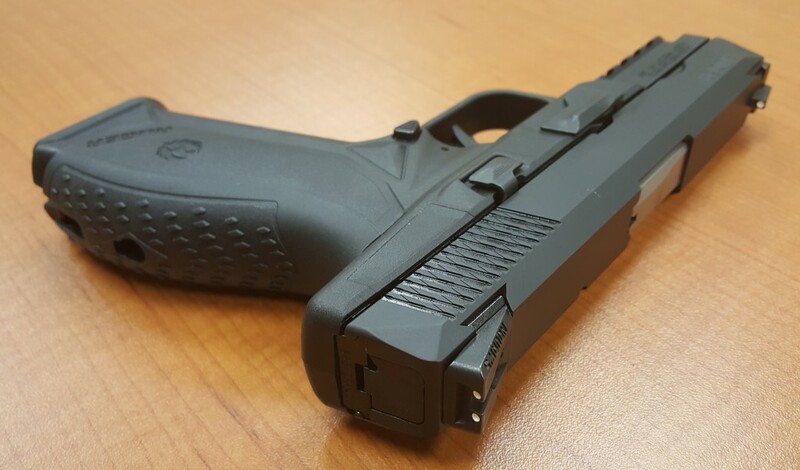 Nice review of a good looking new pistol. Much appreciated, George. I’m with you on the idea of a compact version. Also, I think its interesting that the first releases are 9mm and .45 ACP but no .40 S&W. Perhaps a harbinger of things to come? I think so. .40 is no longer the LEO Darling , and that was it’s biggest following. It’s fading fast. what did you think about the bore axis? It’s not as low as a glock’s but not nearly as high as a SIG’s. It’s just fine. 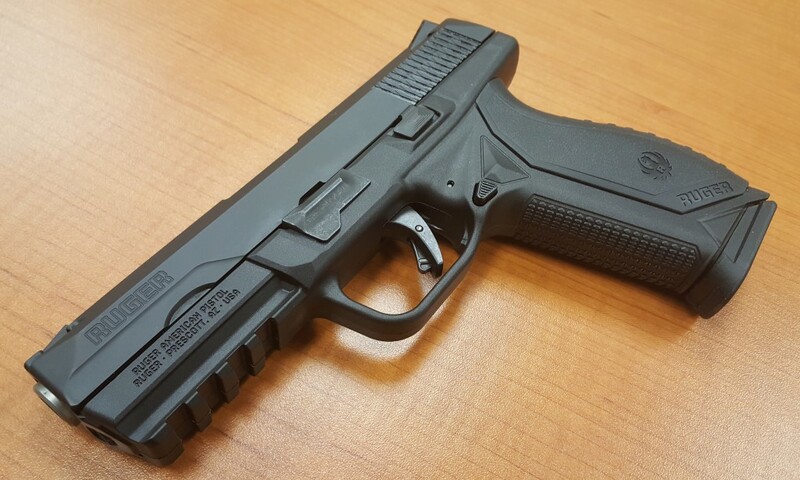 It seems like a very well made pistol in all regards, but it looks like the trigger pull is about a millimeter long. I just can’t help but imagine a bunch of cops giving themselves a racing stripe down the leg with one. The gun is beautiful (and I don’t often say that about semi autos). I feel a little conflicted, is the old adage of “avoid Ruger autos” no longer true or relevant? Have they really cone that far? I never really gave Ruger much attention, but between this and the match champion, they are starting to become pretty innovative it seems. I think they have. I really do. I have no dog in the Ruger fight… I don’t even sell guns anymore. I sell Gun Stores. So if Ruger sinks or swims – it’s no skin off my nose. That being said – I really do think Ruger is a totally different company these days. It all started when Ruger put out their AR-15 and it was pretty damn decent. Since that time – Ruger has been doing things right. And the American Pistol is – it really is – the best semi-auto pistol they have ever made. I like it better than most auto pistols. Certainly better than the SIG 320, S&W M&P, XD pistols, and Glocks. 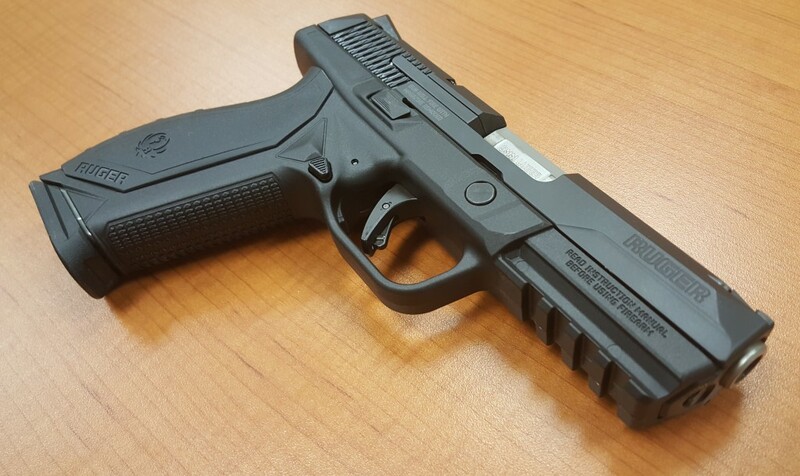 The P07 is a fantastic handgun by all means. But it’s hammer fired system put it in a different class in my opinion. Hammer fired gun just have to be compared to other hammers. Strikers to strikers. But if I was going to judge the two together – I’ll always go hammered because I’m biased that way. Explain the selling gun stores ? Did you mean you sell to gun stores ? I am the Marketing Director for a couple Gun Stores and Ranges… so yes, I sell Gun Stores. That looks like a nice gun. Too bad I live in California. 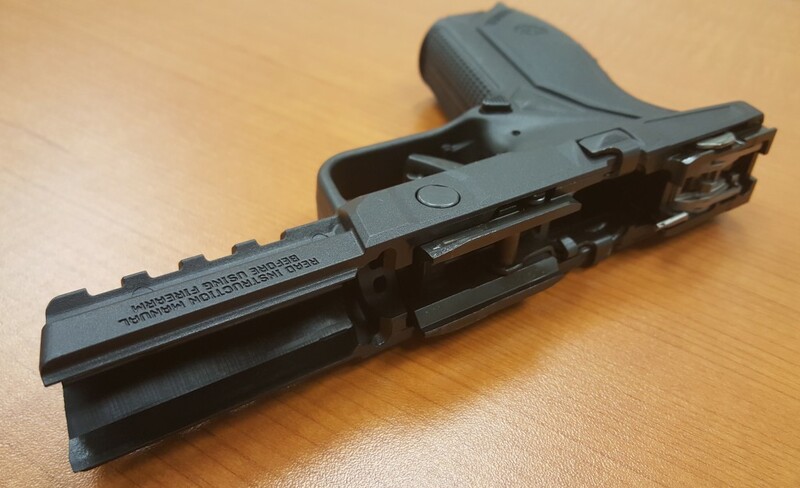 No microstamping means the Ruger American pistol won’t be allowed out here. Maybe if they called it the Ruger Mexican and brought them in illegally. Wonder if the state would buy ammo for me if I did. LOL! That’s both hilarious and frighteningly likely. Have any brands caved in to the CA microengraving law? I wat to know who to boycott. Ruger and S&W refuse to sell in CA over this stupidity. Note though, that Ruger and S&W still sell to CA. We have a roster of which guns can be sold, once you’re on the list I believe you’re on for 5 years (assuming you pay the state the annual fee). 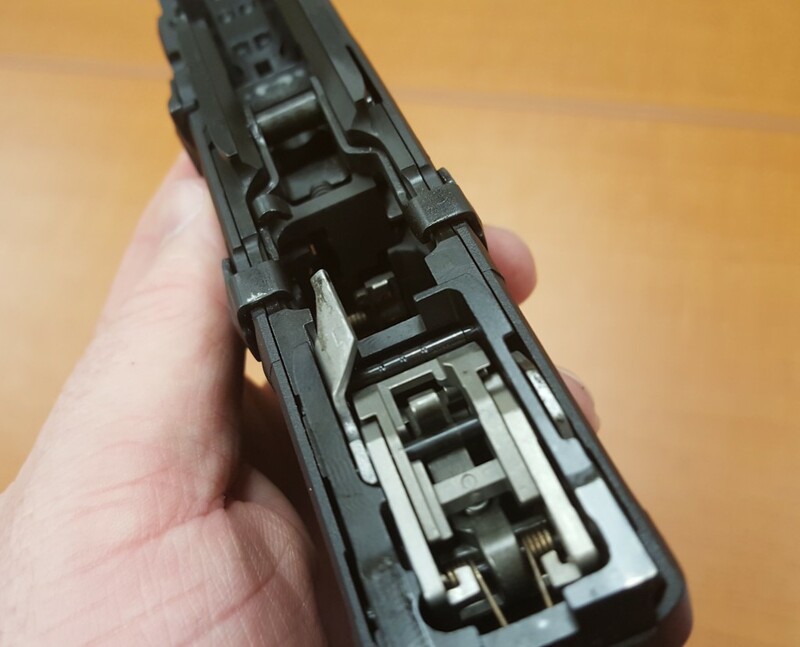 I don’t know of any semi-autos that have been added since that passed (which would need the microstamping crap), but I don’t think either Ruger or S&W have had anything drop off yet. Other’n S&W who voluntarily pulled the M&P line (with the exception of the Shield pistols) without giving anyone in CA a heads-up. 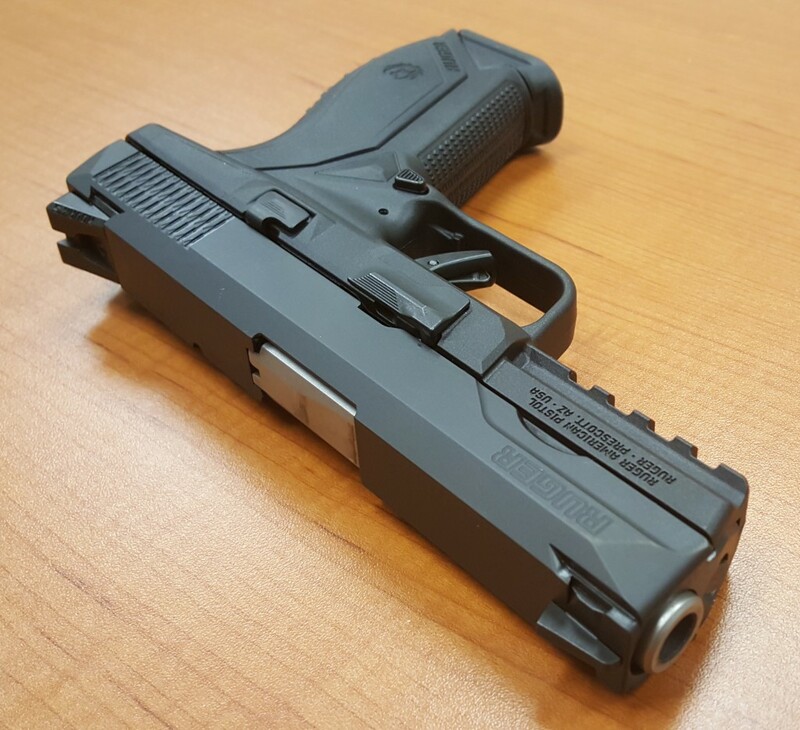 I was saving up for a M&P 45, had the money and went into the store – the guy told me that just a few days earlier they found out they couldn’t sell it anymore. He had one in the back (on it’s way back), but he couldn’t sell it to me. No one had any clue until the CA DOJ started telling them it wasn’t on the list. I’m still a little ticked about that. And I’m still looking for a decent polymer .45. Open holster gun? 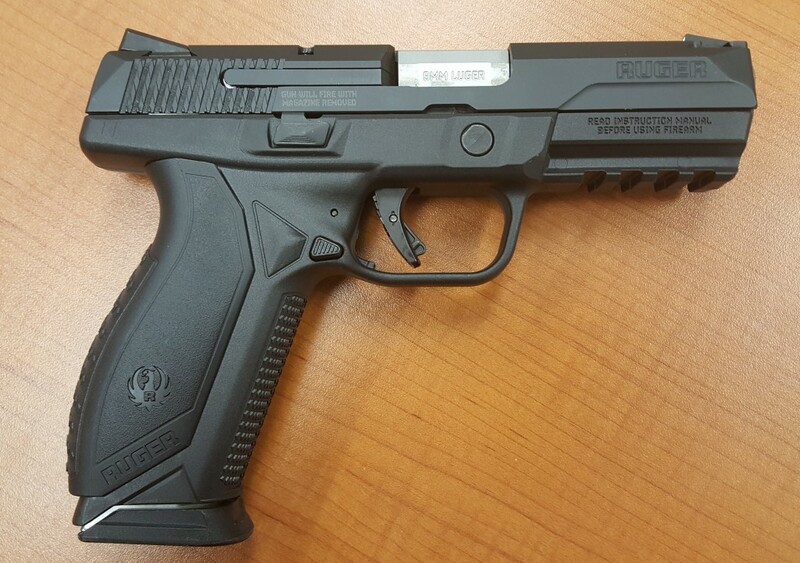 A little big to be a CCW… whats the place for this one? Range gun. Hiking gun. Sleeps in bedroom handgun safe. Car gun, truck gun…. basically for everything other than concealed carry. Not everything needs to be CCW oriented. I carry a full sized M&P during colder months. A larger pistol just needs a bit more clothes. For years I carried an LAR Grizzly IWB with a sweater over it. Looked it over, fired it, and nothing about it impresses me. 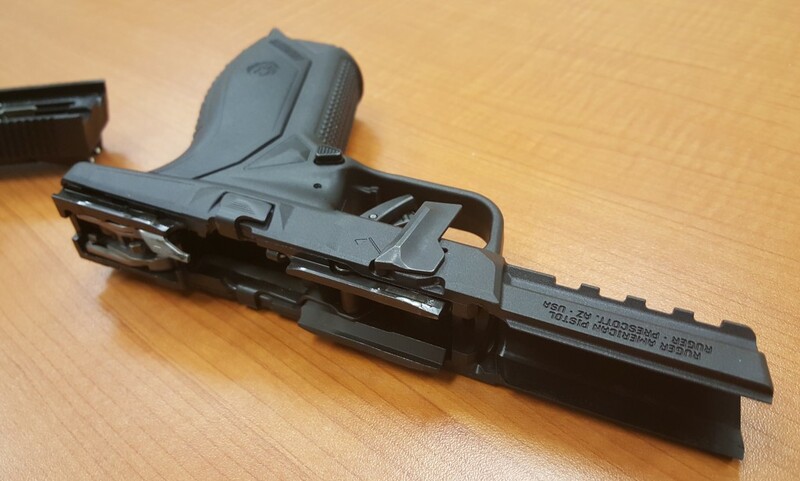 IMO another Ruger flop; it’ll never see a police holster. Not really its called an “opinion”. Once freely given in the US without fear. Not any more apparently. I had to chuckle at “Flop”. Let’s see, S&W is the #1 Gun Maker in the US… #2 is Ruger, but Ruger has at times, taken the lead from S&W. 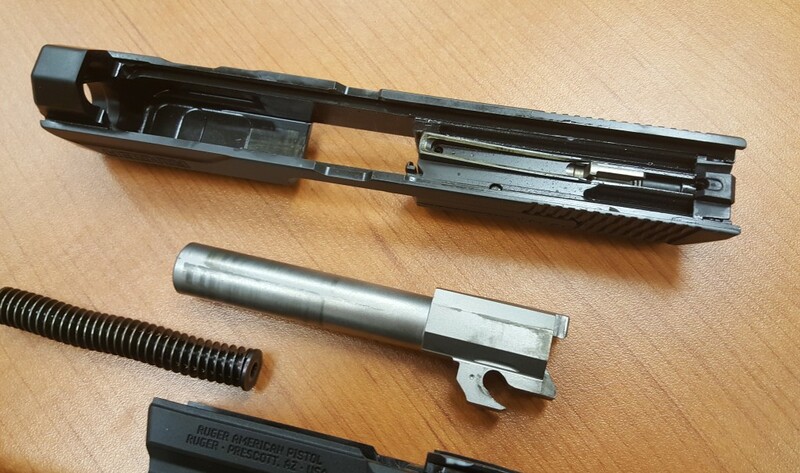 What Ruger has never really had though was a Service Grade Duty Auto. Well, they have that now. Calling it a flop before the dealers even get it though – That would normally be something I myself my say. But I’m saying the opposite this time. 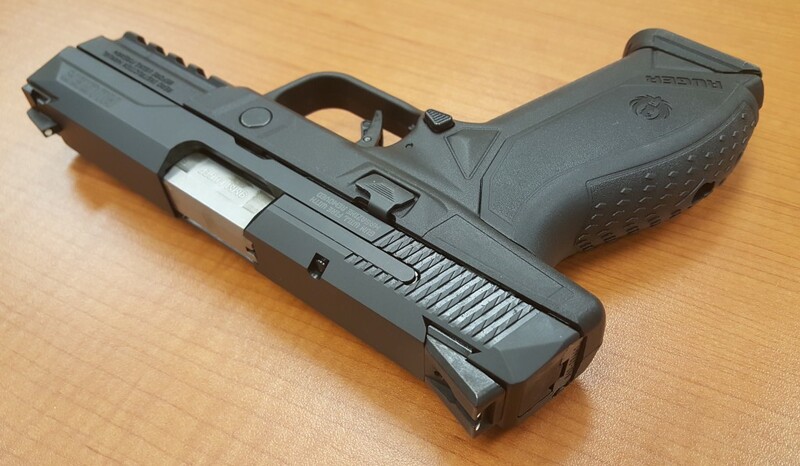 This chunky unergonomic pistol is on the shelves. I’d expect a gun store employee to know that. I agree, it is a flop. 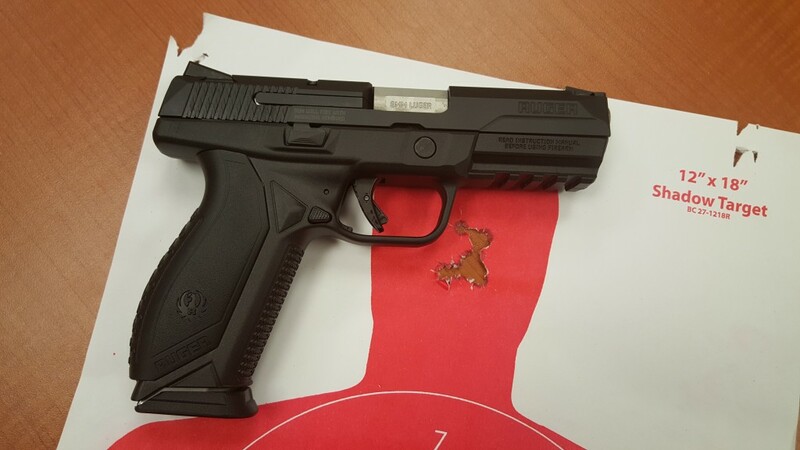 Ruger copied the P3AT as well. Well, Willy… and by the way, thanks for throwing in that personal attack… This gun store employee is the Director of Marketing for 2 gun stores and ranges… I worked my way up to this position by knowing what I am talking about. I find that the Ruger American Pistol is not chunky and it’s very ergonomic. You see, unlike yourself, I get my information from first hand – in my hands – and I don’t let the internet form my opinions for me. 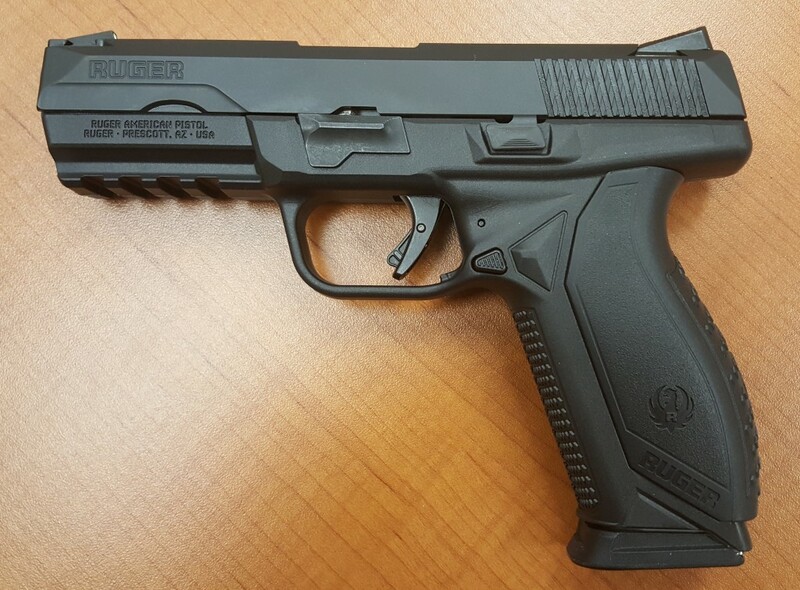 As far as the P3AT goes – Maybe Ruger did copy it. But they also improved it a whole hell of a lot. I don’t think I’d pack a P3AT. But I’d have no problem packing a Ruger. Oh, and you forgot about the LC9. I just wish Ruger would copy and improved the PMR-30! Be interesting to watch though with the Turkish Canik Hi cap 9’s around, that this gun look VERY like. Ruger never copies anybody else’s design though…. The world is awash in hi cap 9mm…seems to me like market saturation unless they can pull down some big LE contracts.